Are your debts covered by the Consumer Credit Act? If so, you have an extra layer of protection not available for non-covered debts. The Consumer Credit Act regulates creditor behaviour when lending money to consumers and when collecting. 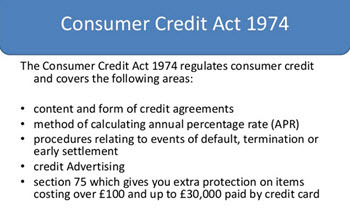 The Consumer Credit Act first came into force in the mid 1970s and has been revised several times since then. Today, it provides stronger protection for consumers than ever before. In most cases, all the following common household debts are regulated by the Consumer Credit Act. A very common household debt that is not covered by the Consumer Credit Act is the mortgage loan. Prior to 2008, debts over £25,000 were not regulated. This means that the date you took out the debt may determine if it is covered or not for a large debt. Here are a few examples of important Consumer Credit Act rules that is good to know about. Regulated creditors must hold a license. Creditors must send you regular statements and arrears letters of you fail to make payments on time. Your debt can not be handed over to a debt collection agency until you have been issued a default notice and two weeks have passed without you getting your account up to date. 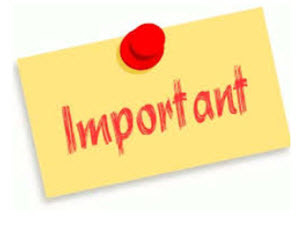 The creditor can not apply for a County Court Judgement (CCJ) until you have been issued a default notice and two weeks have passed without you getting your account up to date. If you are unhappy with how your debt is being handled, you can file a complaint with the Financial Ombudsman Service. In England and Wales, the creditor can not use High Court enforcement officers to collect any unpaid County Court Judgement payments for debts covered by the Consumer Credit Act.